We’re excited to give you your first look at Razer’s official, licensed Destiny 2 lineup. Razer and Bungie teamed up to create custom versions of the DeathAdder Elite mouse, Ornata Chroma keyboard, Goliathus Speed Edition Mouse Mat, and, whether you’re on a PC or console, the ManO’War 7.1 surround headset. The peripherals are available for pre-order now, and go on sale August 21st here in the United States, before Destiny 2 even comes out on September 6. As a reminder, the PC version of Destiny 2 is slated for October 24th. The ManO’War Tournament Edition is a surround headset. It features a Destiny 2 logo across the top of the headband and on the side of the ear cups. The Ornata Chroma keyboard features mid-height keys, customizable chroma color, and a hybrid of mechanical and softer membrane feel for the key switches. The DeathAdder Elite mouse is white and black and features the Destiny 2 logo icon on the top. In terms of features, it’s a competitive-gamer favorite and well-reviewed for its resolution accuracy. Lastly, with the Goliathus Speed Edition Mouse Mat, they’ve taken inspiration from Destiny’s director and world maps. 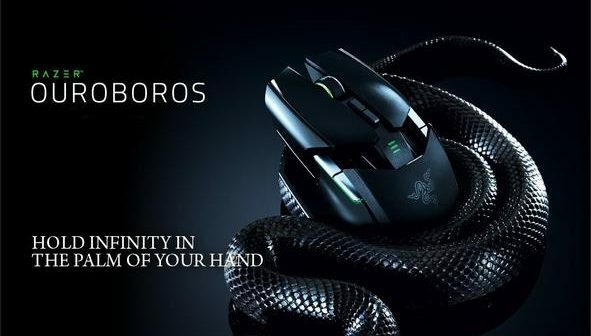 Gamers rely on it for size, speed, and optimal mouse sensitivity.